The small bell-shaped pale lemon-yellow flowers of Dirca palustris are in bloom today. The flowers with their long bright yellow stamens bloom in clusters along the branches before the leaves emerge. What a lovely surprise for a late winter day. Dirca palustris is an early blooming deciduous native shrub. 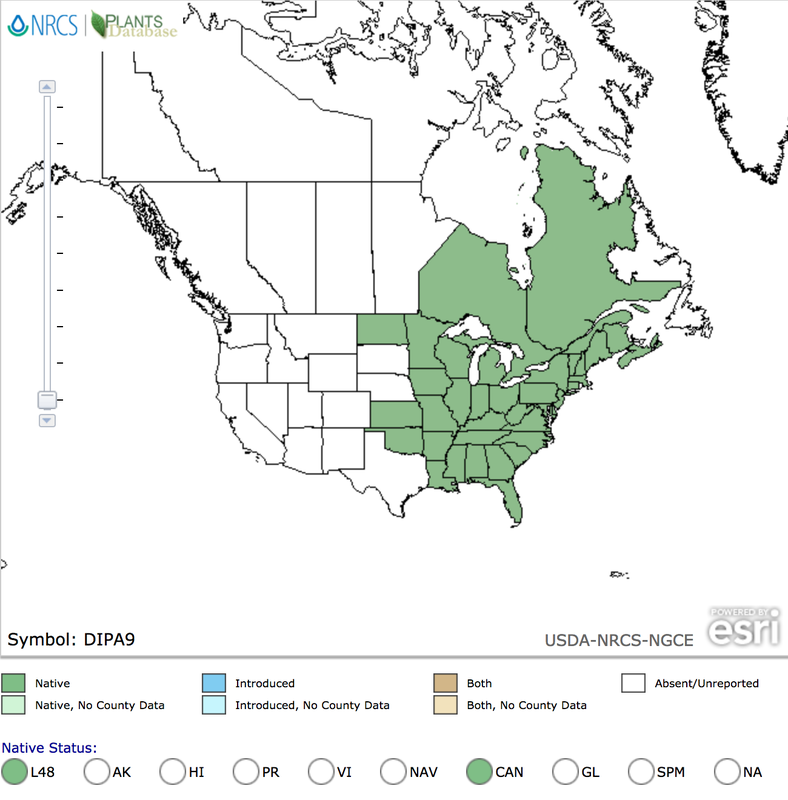 It can be found in rich, moist, neutral soil in woodlands scattered (meaning uncommon) over much of eastern North America. 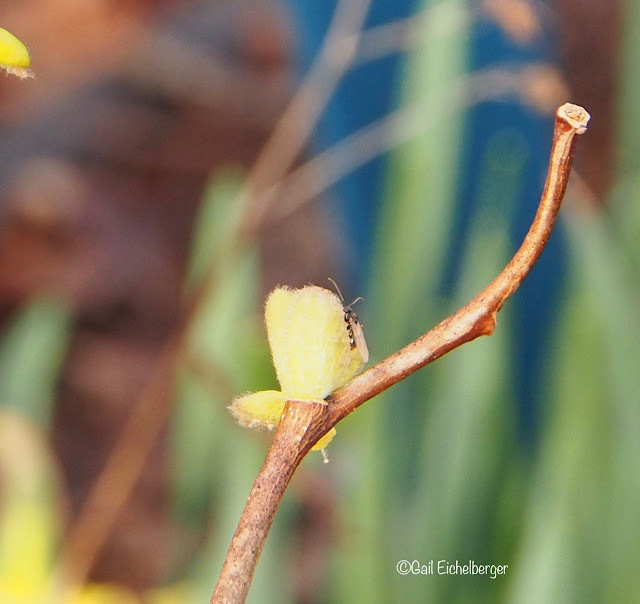 The small yellow flowers first appear in late winter and continue into early spring just in time for small bees to stop by for nectar and pollen. 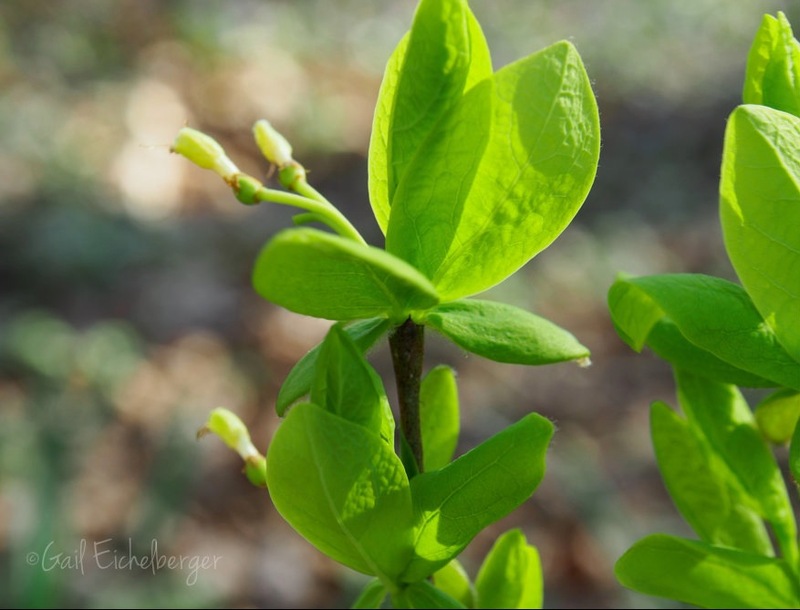 If Lindera benzoin (Spicebush) is happy in your garden conditions, then, so will Leatherwood. They may be found near one another in woodlands and forest settings. They also share similar characteristics: bloom time, yellow flower color, leaf shape, blooming in deep shade, red fruit and lovely yellow fall leaf color. They're both blooming in my garden right now and make those shady spots pop with their yellow flowers. "A great restrained, dapper, shade-loving shrub that simply cannot find its way out of the shadows into commerce." It's always a shock to me that many of our lovely native perennials and shrubs receive relatively little attention in the nursery and landscape trade despite their many attractive features. Dirca palustris should be at every Independent Garden Center. Researchers suggests that its slow growth and the uncertainty about how well it might be be produced asexually has slowed industry interest. I think that we wildflower/native plant aficionados could make a difference for these orphaned natives. We can start with requesting natives at our garden centers and we can stop purchasing the same old-same old exotics that don't add wildlife value to our gardens. We must be the squeaky wheel for natives! Where did I get mine? It was a gift from a good friend. I was thrilled to get it and planted it in a shady spot (built up over time from leaf mold) that has good soil that doesn't turn to concrete in the heat of the summer. It's underplanted with Phacelia bipinnatifida and Hydrophyllum macropyllum. 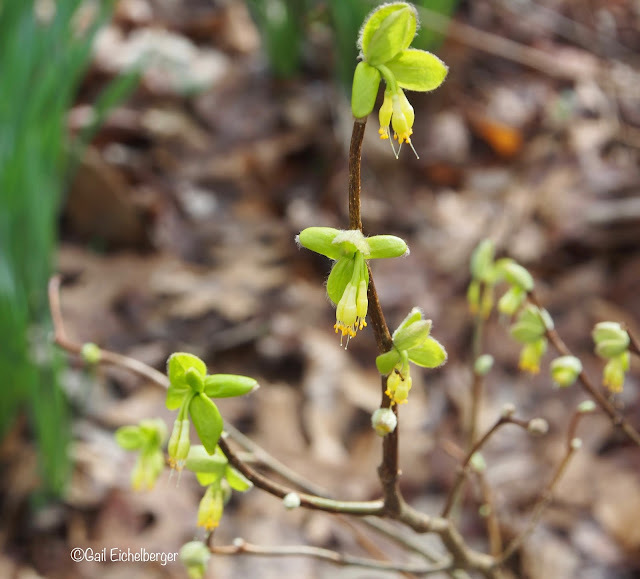 Consider planting Trout lilies, Virginia bluebells and other moisture and shade tolerant natives under the Leatherwood. Gardeners don't dispair! You, too, can find this delightful little beauty for your garden. Local gardeners can find in at Growild Nursery. It's also available online from Prairie Moon Nursery and Mail Order Natives (good reviews). 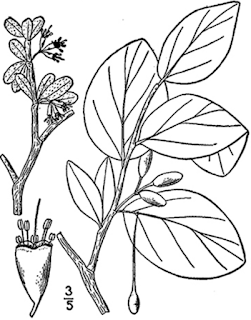 Origin of common name: According to several sources the common name refers to the soft leathery, pliable, yet still very strong stems that are flexible enough to be tied into a knot and not break. The bark is fibrous and can be peeled off in strips and woven into twine. Leaf: Elliptic to obovate leaves (to 3-4" long) emerge yellow-green in spring, mature to medium green in summer and turn a pleasant bright yellow in fall. Soil: Neutral, calcareous and acid soils. Moisture may be more important than the soil. 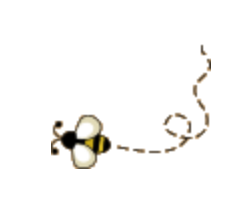 Pollination: The flowers have both male and female organs and are pollinated by insects. 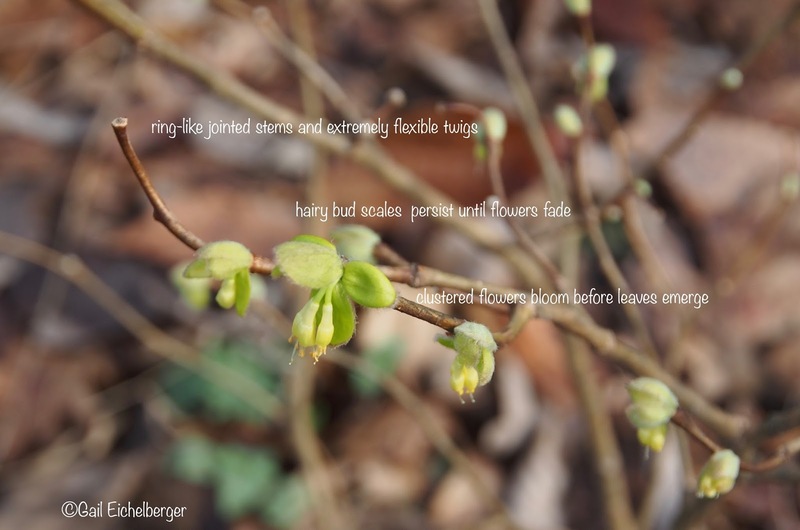 Interesting notes: Often found growing near Spicebush. 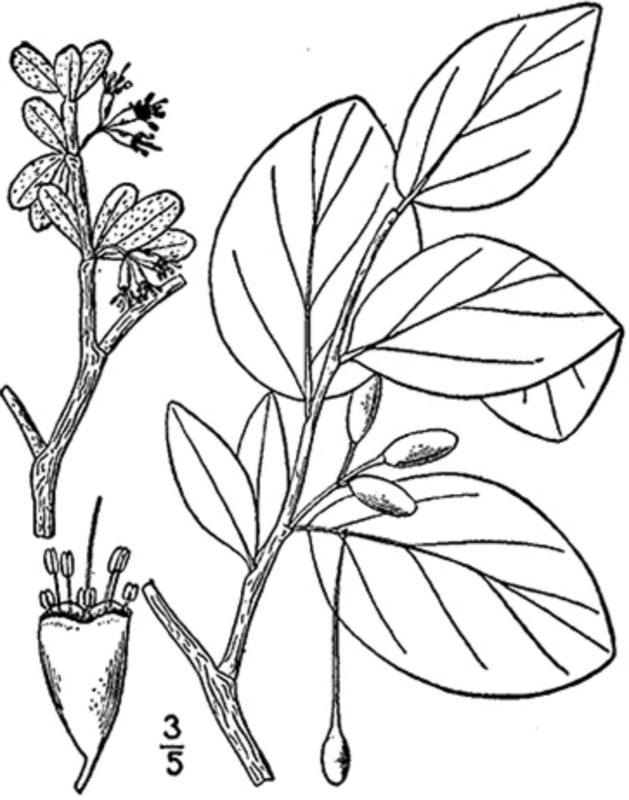 Contact with the bark of Dirca palustris has been know to cause dermatitis; redness and blistering in some people. Deer and bunnies seem to avoid it, possibly toxic. Welcome to Wildflower Wednesday and thank you for stopping by to see/meet Dirca palustris, our Wildflower Wednesday star. In a shady garden like mine, the shrub layer is just as significant to wildlife as the herbaceous level, so, shrubs and even understory trees are going to be an occasional star. 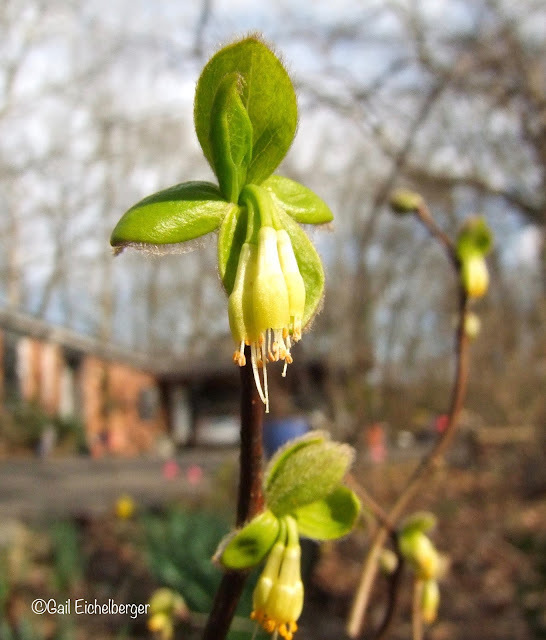 Leatherwood is a sweet native shrub that has been under-appreciated for too long. I hope that giving it the attention it deserves will help. 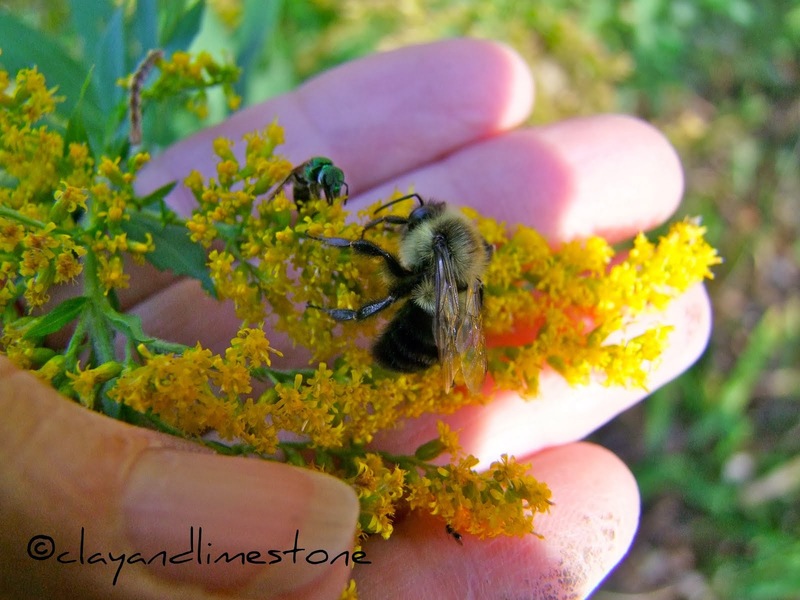 Thanks also, for joining in and if you are new to Wildflower Wednesday, it's about sharing and celebrating wildflowers from all over this great big, beautiful world. Join us on the fourth Wednesday of each month. Remember, it doesn't matter if your wildflower is in bloom or not and, it doesn't matter if we all share the same plants. Please leave a comment when you add your url to Mr Linky. What a beautiful native plant! Love your WW post. Thanks for stopping by. You know I love it! Some of my specimens are 8’+ tall now with a base of 4-5”. My plants seed readily. Good to know! I hope mine gets taller than the 3 foot it is now. You are a great spokesperson for our native plants. I grow a number but I can't escape from my English heritage! But the smaller flowers have always been my favorite. We are fortunate to have nurseries that sell a number of wildflowers but I wish we could get them to sell some of the lesser known species. But of course the majority of gardeners are looking for the easily grown exotics which last the full season. Happy Wildflower Wednesday. Though i don't know what they are, nor have i ever seen them, they are lovely. Thanks Gail. This is a new one to me. I see its native range comes very close to my Nebraska. I don't have a good spot for it, though. I am glad you do! Early spring blooms are a good start to the growing season. Mine just finished blooming. It is so lovely! I LOVE the idea of planting bluebells and trout lilies under the leatherwood. Another new one for me. Thank you for sharing the links to nurseries that sell natives. The only natives I had blooming this week was dandelions and dead nettle. Time to do some shopping. Yes, you only need one! Glowing yellow candles - lovely. I have the gruesome end of a bee. I've seen this for sale once or twice, but never grown it. Reading your description, I think it's time to find a spot for it! Thanks for sharing. I love it. Too bad it is not common in nurseries. I guess people do not have enough patience! 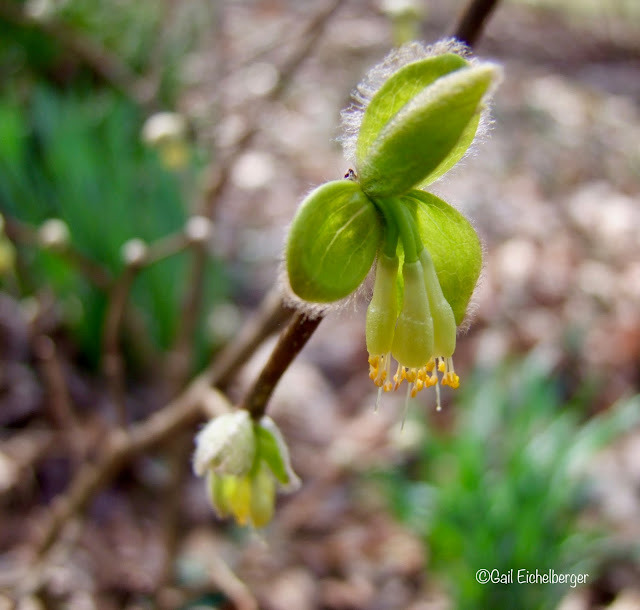 Love this, Gail- I’m doing a couple of programs in March about creating native woodland gardens — I need to add this one. I always learn something here Gail. I love the looks of this shrub. I have never seen it before. Thanks, Gail, for writing about this beautiful plant. 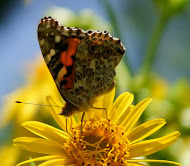 It is on my wish list (what native plant isn't)... Love Wildflower Wednesdays! Cool plant! Love all the info! Interesting that it is not native to Texas or at least East Texas. I have some Spicebush, so maybe I should give this a try. I have seen this plant in the mountain section of the NC Botanical Garden. It's super charming and it's been on my wish list for a while. I should go ahead and get one. I didn't realize it bloomed so early!